We are Greenleaf Lawn Care with Tulsa weed control and we have been creating beautiful lawns for over 10 years. We are founded by two great friends named Jamie Nix and Josh Mathias. Both of them grew up in Tulsa and have always wanted to make Tulsa a more beautiful place. Today they are getting a chance to make Tulsa look more beautiful physically and also help out the Tulsa area schools. This has been their dream where they could live there passion while creating a better place for those around them. You can join in by giving a call to 918-640-6405. Both of them grew up here and now they are starting families the same area because Tulsa means so much of them. Jamie is a graduate of the University of Tulsa and he is devoted to studying how to improve his skill and craft of beautifying Tulsa lawns and Tulsa weed control. He is currently engaged to a lovely lady who shares his passion for the Tulsa area. His partner Josh is currently married with one beautiful child and he also has won the way. Josh is known throughout Tulsa and the surrounding areas as being the fastest weed Wacker in the South. If I had the choice of two people that I would trust with my lawn I would trust these two men because of the passion for their craft and their love for the area in which we live. They care so much about the area that they have started a giving program through their company called “cut for the kids”. This is a program that will give money to a school system of your choice every time a new customer signs up for service. Josh in Jamie’s goal is to raise $100,000 for local area schools. In knowing these two men and their passion this goal will be reached without a problem and our local schools will benefit greatly. This bond is something that I haven’t heard any other lawn care company doing. The problem with this is that it takes away from them making money and for most companies that’s a problem. For our company it would be a problem if we were not giving back to our community. We don’t work for the bottom line but rather we work for seeing the satisfaction on our customers faces when they find out that there weed filled and brown lawn was able to look like we were able to make it turn out. Most people’s expectations have not been very high because of the other companies they have worked with and they have watched them fail over and over again. Many were thinking that trying to save their lawn was a lost cause. This is where they were wrong and once we got a hold of it amazing things happened. We would receive phone calls about every few days of unbelieving customers that couldn’t believe their lawn kept looking better and better every day. The differences we pay very close attention to details and one of the details that most companies miss is that certain weeds need to be taken care of in certain ways. This is very true for weeds that are native to Tulsa. This is where the national companies dropped the ball. They focus on all of the major weeds that they come in contact with the national level but don’t understand the local ones. 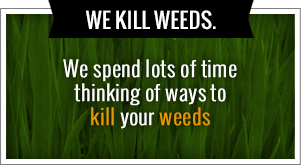 If you want someone that can take care of all of your Tulsa weed control give us a call today. So you are looking for the best Tulsa weed control in the state? Well, you found us! We are Greenleaf Lawn Care and we are here to give you amazing looking grass that you didn’t think was possible for your lawn. We are not like your typical lawn care service because we are staffed with highly trained turf enhancement engineers that far exceed the knowledge of other lawn care services. Our specialists will provide you the very best in customer service every time that they come to your house. For one of our specialists to stop on by give us a call at 918-640-6405. Our turf enhancement engineers are fully certified by the Oklahoma Department of agriculture and they are well-equipped with the proper licenses and tools that are needed to give you the best Tulsa weed control possible. With all this knowledge that our engineers have we are confident that they will always be able to answer your questions the best way possible. You can always identify our lawn care trucks because they are the ones with the Greenleaf logo and license numbers. They will also come to your front door and the correct tire that will comply with all of the state regulations that need to be followed. We only used the top of the line sprayers and spreaders so there is an even application guaranteed for your Tulsa weed control. 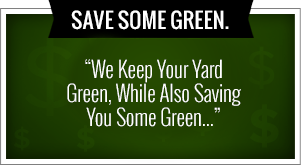 We want to leave your yard extremely green and weed free. You can tell at us to get the job done right the first time. Greenleaf is so dedicated to giving you exceptional service on the phone and in-person. We are available 24 hours a day seven days a week for you to call us with any question that you may think of the matter what the time. We will not run out the door right when the clock strikes five because we are so anxious to get out of work and ignore your messages for multiple days. We are always available to talk you won’t have to wait for a call back from us the matter what the time. We also specialize in great holiday lighting for your house and yard. Being a man one of the most tedious things that I hate doing is putting up Christmas lights. That is because I take them out of the bin that they have been sitting in for the last year than try to untangle them and test them only to find out that half of them are not working. This means want to things, one I have to go out and buy new strands of lights or two I need to try every single bulb on the strand to see which one is causing them all much work. Then there is also the difficult part of finding a day that is perfect for hanging them. Most days it’ll either be too hot or too cold or too rainy or too cloudy, etc. This means you need to be lucky enough to have that perfect day land on the day that you have the time to put them up. In steps in Greenleaf Lawn Care. They will come in and help you design the perfect lighting setup that works for your house. They will then install all of your strands of lights making sure the each one of them work. After the holiday season is done they will even come back and remove them for you and even keep them in their own storage. This is absolute perfect for all busy people out there because when you add up all the time it takes you to put lights up it adds up to a lot.